Going Green is very popular today. It’s trendy in both personal and professional lives. Going Green is a great way to help protect this amazingly beautiful place we live – so it’s great to see so many people and businesses are taking steps everyday to be more environmentally conscious – not just on Earth Day, but everyday! We are proud to state that shopVOX is cloud based business management software! Sure, being on the cloud can boost productivity, make sure your information is safe, and improve customer service, but being on the cloud is also environmentally friendly. In order of Earth Day on April 22nd, we would like to share with you some ways that the cloud supports our Earth. Less Paper Consumption: Since most of your quotes, jobs, workflow, invoices, proofing, and other stuff will be in your software, you will be using a lot less paper. Less paper means less physical clutter, but it also means less tree cutting and less waste. Less Toner Use: When you are printing less on paper because your information is viewed on the cloud and shared via the internet, you have less use for earth damaging ink and toner cartridges. Reduced Electricity Use: Some business management systems consume a lot of energy. This is because they may require uninterruptible power supply, cooling systems, and so on. When you information is on the cloud, it’s safely there for you without having to turn anything on besides your internet connection. Less Computers: When you are working on the cloud, you can access your information from any internet ready device. This means you don’t need 5 different computers or extra eternal hard drives to store your accounting details, invoices, workflow programs, and other necessary business information. Instead a computer or smartphones will be perfectly suited. Less Commuting: Having your CRM, proofing, invoicing and other information available on the cloud means that employees can work from home more often. This environmentally-friendly way of working means less commuting, therefore less fuel emissions and a smaller carbon footprint for your shop. Less Waste: When you are buying less ink, toner, paper, hard drives, etc., you are sending less items to the land fills. This is very helpful for the environment. 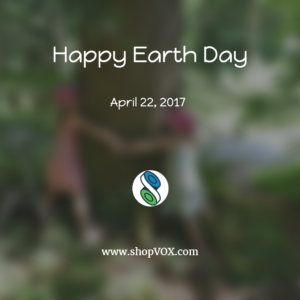 As a shopVOX user, you have these great Earth Friendly Benefits when using the software regularly at your shop. Make sure you use the software in all the ways possible for the best benefits. Check out the shopVOX features to see which features you are not yet using and implement them. Not a shopVOX user already? What a shame!! Well, learn more about shopVOX by trying our shopVOX express version for free for 15 days!